First of all – Happy New Year and Welcome to 2015! I have some exciting news to share with you today – about a new version of the world’s BEST eBay research tool – Terapeak. The new version of Terapeak has actually been live for a few months already but some of you may not be aware of that because old/established Terapeak accounts haven’t been upgraded to the new version yet. Terapeak has informed me that this will happen within next few weeks. If you’re new to Terapeak and open an account now you’ll automatically get the new version straight away. 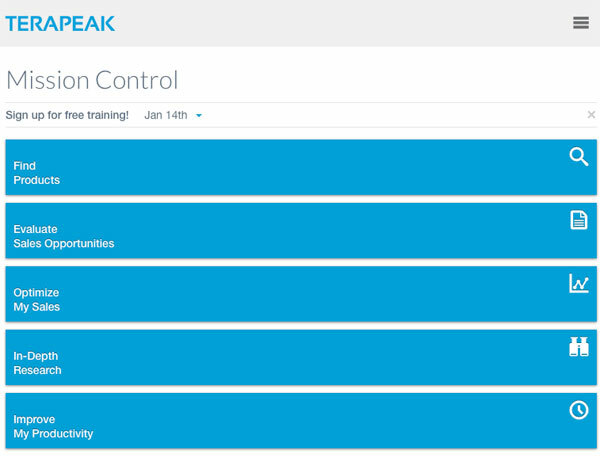 As with any website/software change, there’s a small learning curve involved but I hope that this short overview of Terapeak 2.0 will help you make an easy and painless switch. It’s mostly a psychological thing – as with any such re-design. It happens with pretty much any site you use often, be it eBay, Facebook, Gmail etc. – whenever there’s a redesign it’s very difficult to get used to it initially but after a while, your mind adjusts and you don’t even want to old version back. I can fully understand why Terapeak made this switch to a new platform – the old system used very old, outdated technology and was heavily based on Flash. The new Terapeak doesn’t use Flash which means it will work perfectly on any device, including tablets and mobiles. After the initial shock, I started digging deeper and quickly found out that I actually like the new version of Terapeak much better, mostly because of the improved research speed. As you know, in the old version, when you did 90 day research for a popular item, it could even take several minutes to compile and present the data! From my experience so far, I’d estimate that the new version is at least twice as fast, which is a huge result! While for many of you this may not seem that important, when you start doing extensive research, you’ll know how wasteful it is to have to just sit and wait for minutes at a time for results to come up. So increased speed is definitely the number one reason why I like new Terapeak better. Also, with the responsive design and no Flash, we can now finally do proper research on iPhones, iPads and other mobile devices. This can be very helpful for people who work with used goods as it allows you to get proper research data on the go – while at a wholesaler or buying a job lot from a car boot for example. The only thing that I’m not too keen on is that the main Product Research tool has moved away from the homepage and is now located under In-Depth Research tools. Previously, you just logged into Terapeak and could enter a product search and simply hit that Go button to start your research. 1) You can add a shortcut in Terapeak itself. This way all you have to do is slide your mouse over the left-hand side floating menu and instantly click on the Product Research tab, which means just one extra click. So not a big deal really! And even if you have to make that one extra click, the super fast speed Terapeak now runs at will make it unnoticeable. They have totally changed the plans and pricing structure and luckily (and unusually) for us – in a good way! Previously there was a complicated subscription system where you had to select which regional eBay sites you wanted to sign up for and a complete package for all eBay sites was very expensive ($600 per year if paid monthly). If you’re serious about your eBay business, you want to go with the Professional plan as only that plan includes competitor research which is my 2nd most used Terapeak feature. Also, only with the Professional plan can you get data for 365 days (not just 30) as well as Amazon research data. At $29.95 per month it may seem expensive, but it’s really not when you consider what you get in return. Plus I would always recommend that you go for the yearly plan which offers a huge further saving of 50%! With yearly billing on the Professional plan, you get the complete Terapeak package for less than 10 quid per month, which is amazing! 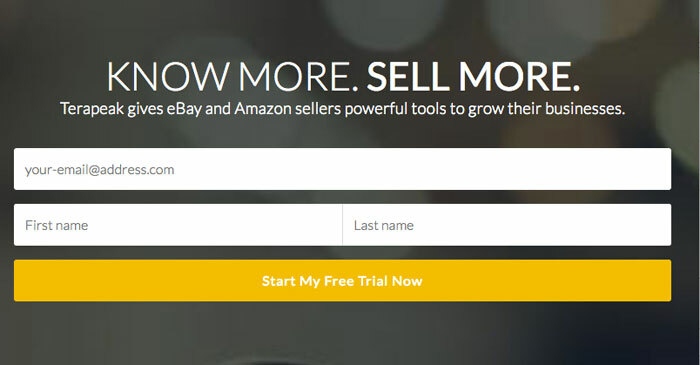 There are really no more excuses for not using Terapeak for your eBay research activities as they have really made it affordable for everyone with the new pricing structure. And remember – you still get to try it out for 7 days – absolutely free! I don’t want to sound harsh, but if you can’t invest £10 per month in such a crucial weapon for your eBay business, then chances are you simply aren’t ready to make it work on eBay at all. Find Products. This is a new function that searches for best selling products (based on sell-through rate and sales volume) based on the keywords and filters you use. I have played around with it for some time and it can be a great to find new/hot products in specific categories. This function is especially helpful for people who are just starting out and are working on the niche research process. Worksheets. 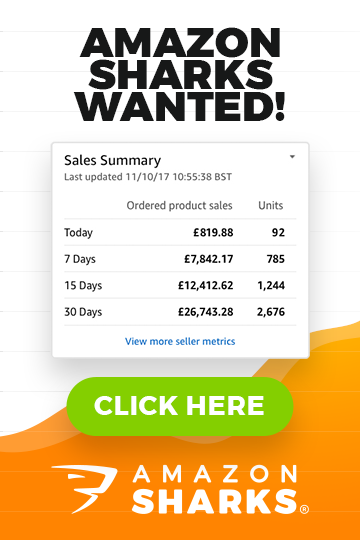 This function is also new and allows us to create some sales projections based on the sales history for any item you’re researching. I’m sure there will be more functions added in the future, that’s probably part of the reason why they needed to create this new system in the first place – to be able to easily add new features and functions as time goes on (the block interface of the homepage clearly indicates that, at least). 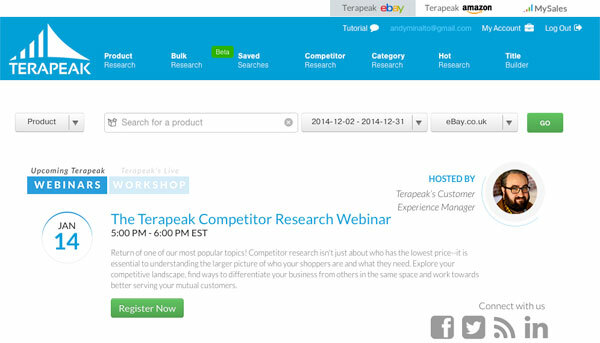 If you’re switching from the previous Terapeak version, really the most important thing to keep in mind is that the old homepage is now located under the In-Depth Research tab, which includes Product Research, Competitor Research and Hot Research. Once you get to that point, you’ll know exactly what to do. Ok, that’s about it – a quick overview of Terapeak 2.0. Remember, if you’re just signing up to Terapeak now, you don’t have to do anything – you’ll automatically get this new version by default. On the other hand, if you already have an account, you’ll have to wait till Terapeak rolls out the update to all accounts (which should happen any time now). Many people have asked me for more detailed articles on how Terapeak works and some in-depth guides on making the most out of it and I’m actually very glad that I didn’t start working on this last year, as that would now mean that I would have to redo everything to reflect these changes. But yes, rest assured that I will be doing more articles on Terapeak this year, covering each function in more detail and I will probably even do a few video tutorials as well. 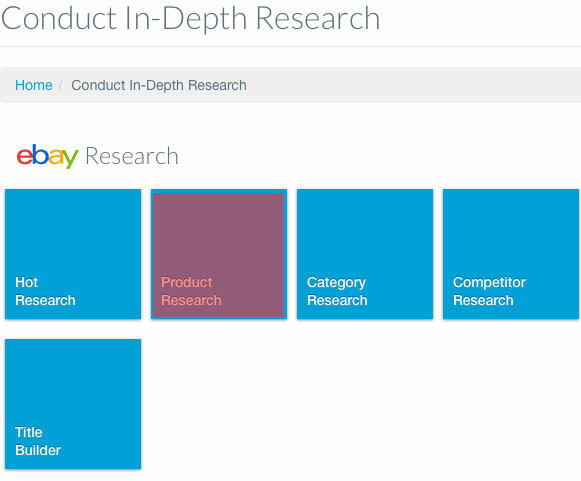 To give you a little teaser, the first thing I have planned is a guide on Competitor Research as I believe it’s a hugely powerful tool that most people over-look. So stay tuned for more Terapeak guides, which are coming soon! Where is that page now ? How do I get that report now ? You do this via Research > Product Research. And then in VIEWS settings change to listing view. No, if you subscribe to Professional account, you don’t need anything extra. Can I use terapeak in Australia? I want to know what is the phone number of terapeak? They don’t have costumer service!!! Hello Andrew, really love what you are putting out here and thank you for it. Are you thinking of doing a video review here or on YouTube soon for Terapeak and how to get the most out of it, or if not a video a article for beginners such as I ? I’m sure there will be alot of appreciative people when you do! Sry if this sounds like a daft question. I just signed up for the seven days free trial on Terapeak. I have opted for the ebay.co.uk where ever it ask but Im getting all the results in dollars. Any idea where Im going wrong please? You have to set currency in account settings. ON the right top corner click on My Account and there you find place where you change currency. Firstly I would like to say thank you for sharing such valuable information with all of us. I am a beginner in this online business. No idea how it works but I am hoping that the investment of £67 will be worth it. Can you tell me how much minimum should a person invest in? I mean I have read you said that anyone can start with as little as £50. Is that correct? Also, will I be paying the import duties and taxes if I import stock from China? There’s no minimum account really as some concepts in my course can really be started with as little as £50 and even less. The more you can invest, the better of course as it will open more opportunities for you. Yes, if you decide on importing from China, you’ll have to pay VAT and import duty in most cases. Details on this covered in the course. Great, all signed up – thank you for this advice i can already see the extremely powerful potential, however, i would just like to ask a question about the “scoring” your listing feature. So, i go ahead and score a listing, Terapeak comes back with the web chart to show the areas that need improving, but the one i am questioning is “category”. It states that the top category for my product, is something completely different? This means i cant get full scores in the top category section. So, going back to “About Score” and the quick search tool, Terapeak will use this information to access my listing, and make recommendation in reference to optimizing each area? However, what happens if Terapeak returns with only a few results, even though ive narrowed my search terms down, still only returning with a handful of results, but will set the wrong category recommendation, when i proceed onto optimize my title. I personally don’t use that feature in Terapeak at all. I also build my listing titles manually as I don’t believe in machine created, keyword stuffed listing titles. (keywords are important, yes, and they should be put in the beginning of your title but I just use common sense and my writing/marketing skills when I create listing titles). Im building my titles manually, with a few suggested keywords – but category scoring is out, and i cant put it right, as Terapeak is matching my titles to related products – in other categories. Think your pages are so helpful, so thank you very much. I have just noticed that eBay are now offering Terapeak as a free application. 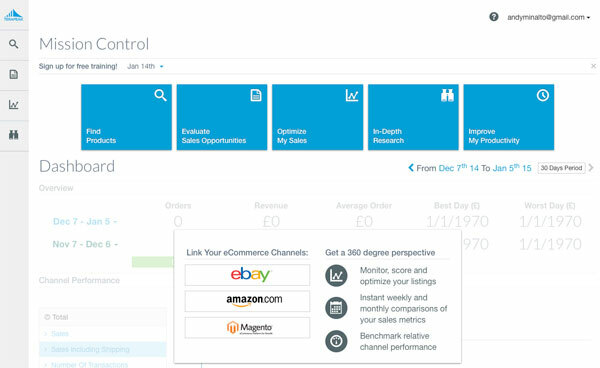 I initially thought it was just the sales analysis but it seems to be all of the options including competitor research etc. I have paid the full Terapeak subscription and have done for the past few years. Am I missing something or am I now paying for something I can now get free on eBay? Where can you get Terapeak as a free application? 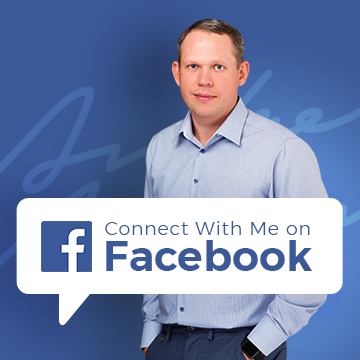 Can you share a link? Does terapeak works for ebay india and could I have one account for different ebay markets ? No, sorry – Terapeak currently does not support eBay India. Am i right in saying that the free tearapeak package doesn’t allow you to change the ebay.com to ebay.co.uk under the product search? Also, under optimize my listings, the only thing i can seem to do is get a score? I thought it was due to it being the free version but after watching a video – it seems that you can do a lot more on the free version? or is that wrong ? lol. Also, i think if i upgrade – i want the Ebay version ( and not amazon) But im going to lose some valuable features if i just upgrade to Ebay only, even though im not using amazon..mmm? Can i work just with the ebay upgrade efficiently? – Lots of questions sorry. You really want to get Professional account to make most out of Terapeak. Then it un-locks all features, all regional sites, Amazon research etc. I haven’t checked out recently what trial is limited to but it does not come with all research tools, no. “We are aware that the Best Selling Products function in Hot Research does not work from time to time for some users, and we are working on improving that experience. Since best selling products show you a list of keywords and sales data related to those keywords, you search for more keywords under the “Hot Keywords” function and find the “Sales Data” under the “Best Selling Titles” function. Hi, I’ve been following your post on finding a product and signed up to terapeak but can’t access the ‘in depth research’ which you say takes you to the useful information at this stage of research. I need to be signed up as ‘professional’. Is this correct? 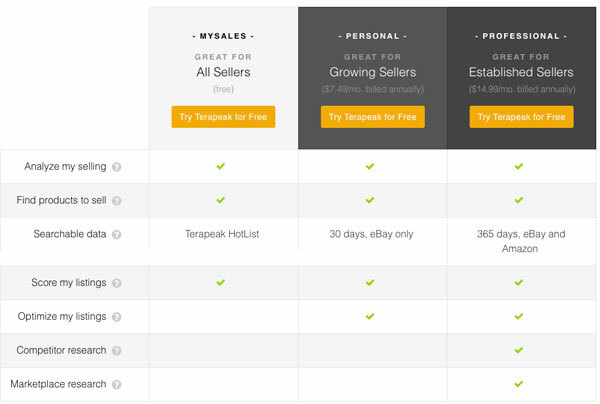 Yes, that is correct – to use In-Depth research tools you need a paid, Professional account subscription to Terapeak. Why was my comment deleted or not added? It could be the automated spam system that got you. What was your comment? Hi, I signed up for terapeak and the free feature to evaluate my listings to work on my weak points, are not working and have not been working since I signed up. I have harassed terapeak facebook page because I sent them 10 emails over 7 days and no one has gotten back to me. Is anyone else experiencing this ??? Im so frustrated. I even signed up for a trial run of HammerTap but the user interface is beyond outdated and I dont understand why they wont fix it. I Immediately cancelled my account before the trial. Is there any other option besides terapeak and hammertap?? Which function exactly is not working for you? Terapeak really is the best eBay research tool out there, nothing even comes close to it. While there are some bugs from time to time in the software, they’re usually fixed pretty quickly. When I go to the optimize my listing tag to see where my weak spots are on my listing its not working. This feature is suppose to be free and it not working. I cant get a hold of Terapeak. Can you see if yours is working?? They had some tech issues over last few days but they’re all fixed now. So it should work ok for you now. its amusing and annoying at the same time that having renewed my subscription to terapeak only this month I find the listings scoring system isnt working and they say its the servers and the mod will take 2 weeks yes 2 WEEKS!!! So its amusing and annoying that your post Beez is back in January with the same problem. its now April so I dont have much confidence in terapeak now. I have forwarded this to Terapeak and someone from dev team will be in touch with you shortly. Thanks for that Andrew although I’ve contacted them again because up until now they’ve not contacted me following your request, kindly made on my behalf. I’ve just started using this updated version of Terapeak and the Hot Research area doesn’t seem to be working (I’m searching on ebay.co.uk) have you had any problems with it? Categories only give me the top 3, Hot media doesn’t work or best selling products. As these are pretty essential it’s a big disappointment, have you tried using it recently? Hot Media hasn’t been working for me either (it works for .com site but not for .co.uk)… I hope they fix it soon. Other functions work for me ok. I would love to be able to use this system, but my account is not working and I can’t get anyone to email me back from support. Can you help? Hmm, I just logged in my Terapeak account and it all looks ok.
Maybe it was a temp glitch? Do you still have problems with it? Happy new year Andrew. I did sign up to Tearpeak after pondering on the cost- I went one year pro. thank you. My research has got me changing plans. Ahhhhh! But I’m trying to stay focused and committed to the end. Andrew, I’ve got loads of questions please. I’ll keep them coming. It’s always better to drop a product idea during the research stage rather than later on when you have already ordered stock you can’t sell. So it’s all good!